This stunning and lavishly embellished luxury wedding card, is reserved for the most special of wedding wishes. Featuring an opulent bouquet of heart shaped balloons, where the newlywed’s initials can be displayed. 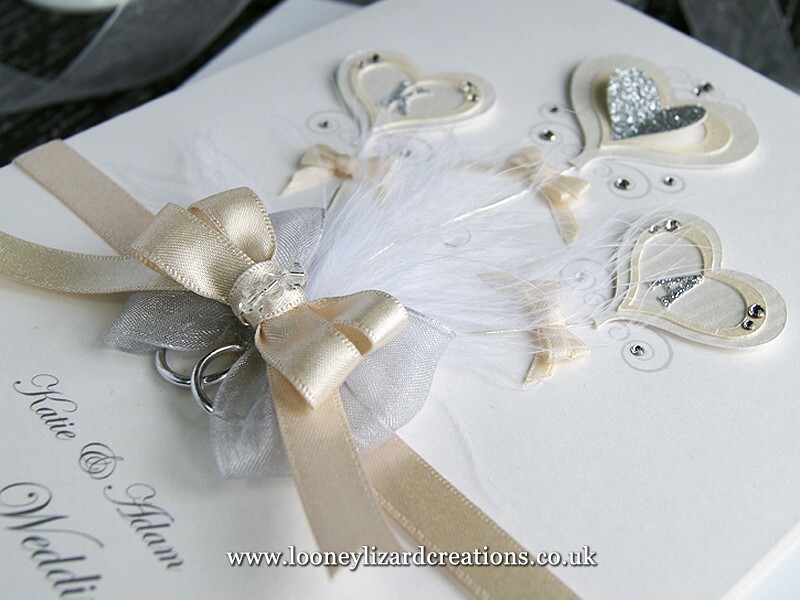 Making this personalised wedding card a truly wonderful keepsake of their wedding day. 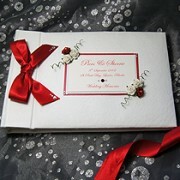 A paper insert, where your special wedding message will be printed (can be left blank, if preferred). Your personalised luxury card will also come wrapped within a beautifully hand decorated gift box, finished with hand-tied bow and crystal detail for a final flourish. 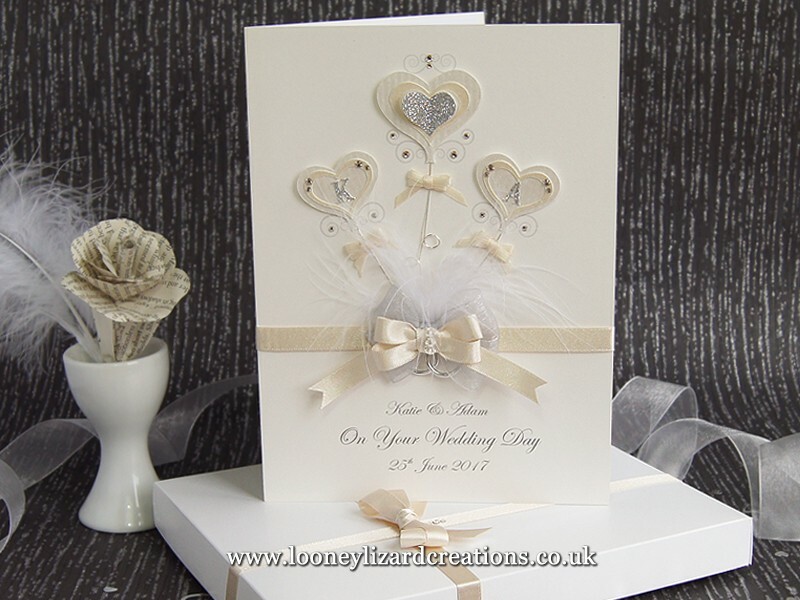 You can choose to personalise your wedding card to your exact requirements, by adding your own greeting and insert message to the newlyweds. 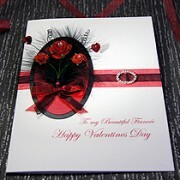 Please see the card sentiment options above to start personalising your card and to add their initials. For card size and finish please see the ‘details’ tab above. Love everything about your cards they are stunning your work is beautiful..Every card that iv had from you has been exactly how I ordered it and delivery is quick. Wont be using anywhere else when it comes to buying my special cards, thankyou. The card is beautifully made and everyone loved it. i was surprised how quick it came. I will definitely will be buy another card from here. 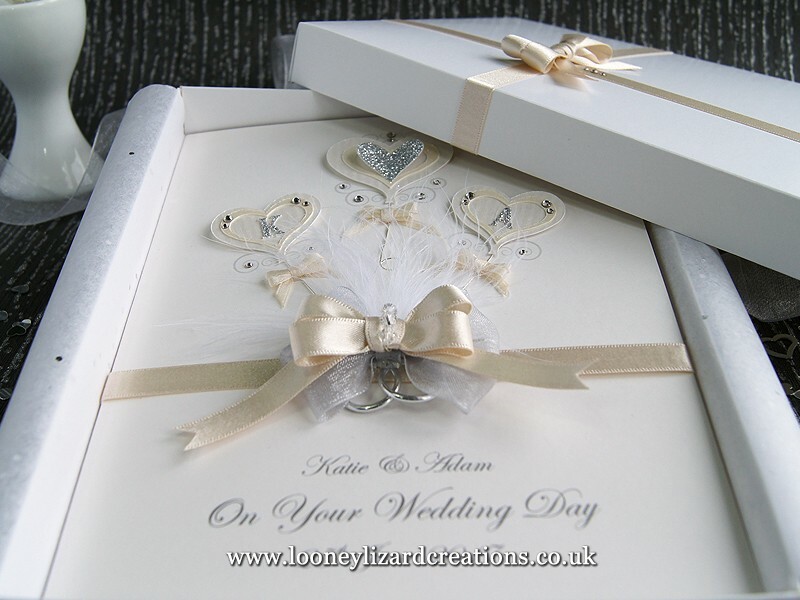 It’s the first time I have used this site so was a little bit apprehensive but needn’t have worried at all it was a beautiful card and met all my expectations I was really thrilled with it and can’t wait to give it to happy couple. I shall definitely be ordering again and will recommend it to my friends. Love this card so pleased I choose this one, it says luxury and it is luxury. Although I have, in the past, purchased many cards from you, they seem to evolve and improve all the time - obviously due to you gaining more experience. The latest card is a case in point - it's the best one yet! I also appreciate the way you are willing to improvise and alter things to suit the occasion. I'm sure I'll be buying more cards from you in the future. Good luck and continuing success.